Squamish City of The Future? From a small pulp-mill forestry town to a thriving business, recreation and arts community, Squamish has undoubtedly experienced unprecedented growth and recognition of late. To visitors, the mass media attention (Best Mountain Town Destination, CNN Money; 52 Places To Go in 2015, The New York Times; Canada's Best Places for Business: No. 15, Canadian Business and PROFIT) came out of the blue; but to those who live and work in Squamish, it was just a matter of time. The image of Squamish in this new vernacular is out. New tech, clean tech and rec-tech businesses are moving in. Cycling apparel company 7Mesh; carbon-capture operation Carbon Engineering (which moved its entire staff from Alberta to Squamish); the freestyle trampoline centre Airhouse; the Canadian headquarters of Commencal Bikes… the list of new businesses in town keeps growing. It was the sale of the 103-acre oceanfront peninsula to Newport Beach Developments that really showcases the future direction of Squamish. Under the sale agreement, the area is split: one-third for public space; one third residential; and one third dedicated to employment that will create around 2,300 jobs. And clean tech talk is dominating. Discussions are currently underway to establish a University of British Columbia engineering and technology campus on the Squamish Oceanfront. As for the downtown core? “The next few years will see a dramatic change. Yes, we've experienced growing pains, but you work through them and keep moving forward. Eventually, your council and your town reflect the critical mass of the people here,” Heintzman adds. 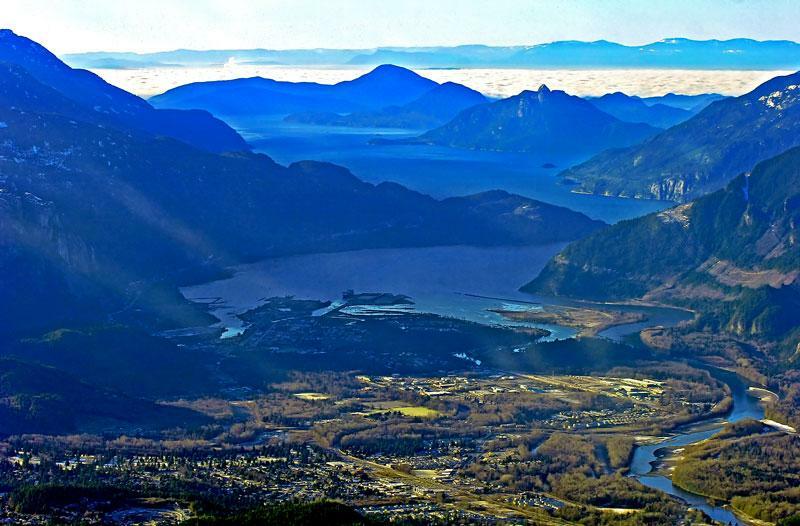 Heintzman refers to Squamish as the city of the future—and if it continues on this trajectory, much like its once self-proclaimed title of “outdoor recreation capital of Canada,” this too looks likely to become a reality.